What drew you to the hospitality industry? In short, it was a passion for travel, discovering new countries, cities, meeting new people and cultures, and new experiences. While travelling, I have repeatedly faced troubles, which a friend of mine, current CEO, and second founder of MyStay, Radek Novotný,started to solve five years ago by mobile Apps, which impressed me so much that I wanted to help him make his solution widespread. Traveling is freedom, it's a spice of people's life, so why bother with administration and troubles? Currently, what do you see as the biggest pain point for hoteliers? A few pain points include growing the revenue (RevPAR) while maintaining the cost, the guest experience as a whole when communicating with guests whose bookings came indirectly from OTAs, and respectively guest relationships and reviews for these clients. Fixing these pains calls for reduction of static contracts and OTA dependency, pushing up direct bookings, additional revenue from non-lodging services both their own and third party ones, and guest relationship management with high quality and timely communication during all stages (from pre-arrival, during stay to a post stay). As MyStay wants to help fixing the pain points, we work hard to help hoteliers quickly launch tools to resolve the above issues, e.g. upcoming joint campaign with Snapshot targeting hotels using OPERA PMS. What does your application do to solve that pain point? We provide hoteliers with the tool that enables easy generation of additional revenue from either rooms upgrades, direct booking of a repeat stay or upsell of the SPA or F&B, but also non-lodging revenue by the selling of 3rd party provided services such as boat trips,entry tickets, or guides, etc. Our solution also tackles the pain of missing easy and digital ways to communicate with hotel from pre-arrival, during stay to a post stay about stay related issues (rarely covered by hotel websites) such as where to park, how to navigate to hotel/parking or about any problems the client meets during stay like the AC or TV set not working properly. We believe that digital communication via smartphone at people‘s fingertips with the possibility of instant feedback during stay or push questions and notifications is way to dramatically improve guest experiences, hotel reviews and in turn, a hotel‘s occupancy and RevPAR. Every hotel or apartment can try us for free for 1 month, start here. What is your favorite feedback that you’ve ever received from a client? What is your proudest moment while working at your company? When a previous founder of Booking.com validated our idea as very useful for the current travelers. How do you see your product evolving in the next year? While we are focusing on B2B functionality this year, our hotel clients are asking us to develop and improve features such as online check-in, check out, mobile web and WiFi landing page, to all be connected with very easy and fast integration and onboarding. The year 2019 will be primarily the year of B2C development meaning we will focus even more on features and improvements relevant for hotel guests, their user experience and other functionalities they ask for or will benefit from. 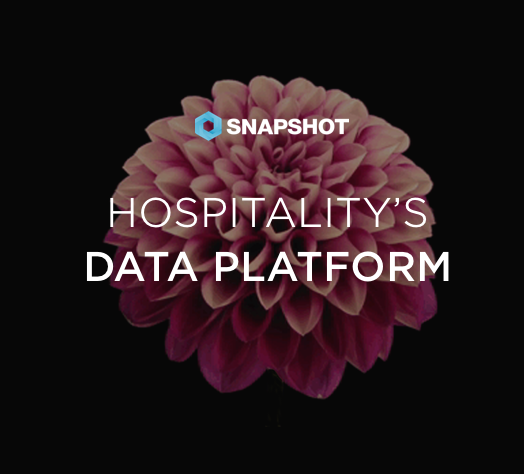 What do you see as the next big trend(s) in hospitality tech, and what should hotels do now to stay ahead of the curve? Digitize all its processes and communication, internally and mainly externally, towards guests to support the move towards the digitization of planning, booking, and shopping trips. For hoteliers, it also means online and mobile checking in and out, as well as digital key (virtual key into smartphone). Find a way to promote itself on Google and other relevant search engines, and the starting point in trip planning. Shift from desktops to smartphones. Hotels need to visualize its offering to inspire guests on travel blogs, social media, and video. Offer tailor-made experiences as part of the loyalty program and employ well-informed hoteliers using guest experience tools. When you travel, what do you look for in a hotel? I look at design, but even more, I search for hotels promoting experiences and authentic local activities that give me the chance to better understand the venue, people, culture, and habits of the region I am going to visit. I also look at hotels providing guests with stay related information and communication through guest relationship applications. Simply, I look for innovative hoteliers who aim to differentiate and offer an experience and modern approach. You can typically see that from their webpages and communication style. …And what’s a deal breaker for you? Well that's easy, hotels not yet using the MyStay guest experience application for information, communication, navigation, upsell, and instant feedback. On a more serious note, hotels with bad reviews, especially ones related to communication or hotel services, are a no go for me. Join us and change hospitality with us. Start now.